Gone? Our nephew? My brother’s only son? My mind seemed incapable of wrapping itself around the sheer enormity of the tragedy. Charles was only 32 years old. He was a big, strapping man who was active and worked outdoors coordinating a successful business in two large Texas cities. He had enormous energy and was a vibrant, thrill seeking adventurer with a dazzling smile and outgoing spirit. Whether it was water skiing, skydiving or riding his huge motorcycle, Charles did it the only way he knew how … full throttle, a characteristic he had inherited from his father. It was beyond belief that he could have been felled in such a manner. Immediately, my thoughts went to my brother and sister-in-law. “Where are Bob and Carol?” I asked. My wife, Tami, informed me that Jim Bob, my elder brother by four years, and his wife, Carol, were on their way to Galveston where Charles had been visiting his girlfriend and her family. It was there that he had gone unconscious. Efforts to revive him were unsuccessful. In the days that followed, it became apparent that a heart irregularity that had been discovered in Charles’ childhood had caused the attack. While he had been treated for the condition many years ago, it had suddenly re-surfaced and caused Charles’ heart to simply stop. Many of Charles’ friends traveled six hours to attend the funeral … by motorcycle. They were a great comfort to my brother, who had also ridden with those friends on several extended trips across Texas, New Mexico and Colorado. Bob had started riding in high school, motoring back roads and highways around our home in north central Texas on a Cushman scooter, and much later he bought a Honda CX500. I was so enamored with his shiny bike that I purchased a previously owned Honda 750, and together we learned about motorcycles and riding. Then “life” happened. We both had families, obligations, and both of us sold our motorcycles and riding was put on hold for a very long time. Charles changed all that. He began riding motorcycles. 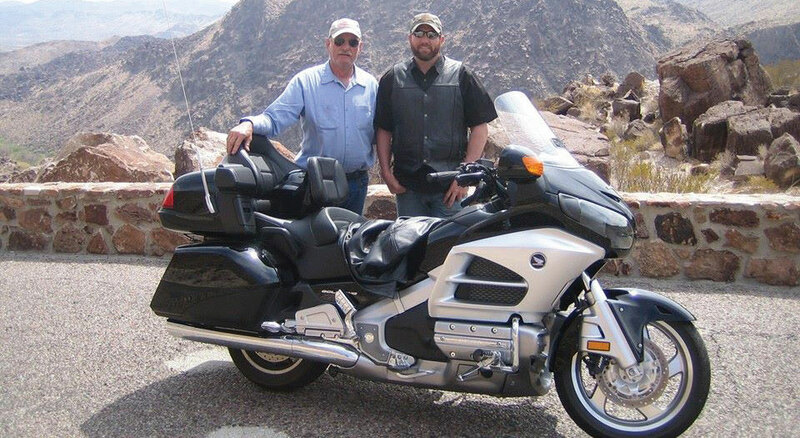 One day, he asked his Dad to go with him and his riding buddies on a trip to the Big Bend area. Bob pointed out that there was only one problem … he didn’t own a motorcycle. That didn’t faze Charles, who promptly arranged to rent a Gold Wing for his Dad, and the group headed out on a 1,000-mile tour through some of Texas’ most scenic roads. Evidently, Bob’s riding skills, as rusty as they might have been, were quickly polished up and renewed on that trip. After one particularly tight set of turns, Charles remarked to Bob at the next stop, “Hey! You’re starting to get the hang of that thing, aren’t you?” It was a compliment Bob cherishes to this day. So that’s how, only a few weeks later, I found myself standing in a cycle dealership and actually arguing against buying a Gold Wing. I felt a smaller bike was just as able to do what I wanted. Again, it was my beautiful wife who pressed the issue. “Bob has a Gold Wing,” she insisted. “You’ll need a bike that can keep up. Get the Wing!” Within hours I was parked in front of my brother’s house on a big, shiny blue machine that was more motorcycle than I ever thought I would have. Bob actually jumped up and down and clapped his hands when he saw it. “Oh, we are going to have so much fun with these!” he exclaimed. Indeed, I started planning day trips and at least one longer trip to Arkansas with Bob, just as soon as I thought I was ready. Once again, riding became a priority. Getting the hang of handling the biggest bike I’d ever been on required some time, a lot of miles and loads of practice in vacant parking lots. Bob became my mentor. He was already taking long road trips with Charles and his friends. Together, they made an epic trek through the mountain passes of the Rockies in New Mexico and Colorado. 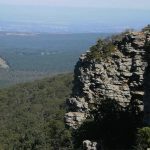 A few months later, they experienced the thrills and turns of the famous “Twisted Sisters,” three southwest Texas ranch roads known for their curves and unique Texas vistas. It was a fantastic trip for Bob, Carol, Charles and his girlfriend, Daisy, as well as their riding buddies from central Texas. The end of that trip was especially poignant, though the significance of the moment wouldn’t be realized until later. The two couples were riding home together until they approached an exit near San Antonio, where Charles and Daisy lived. Bob said Charles and Daisy pulled up beside him and Carol, riding in close formation for a short time. I can only imagine the big grin on Charles’ face as he exchanged waves with his mom and dad and then leaned his big Harley into the exit toward home. It was the last time Bob and Carol saw Charles alive. The months after the funeral were excruciating. Only those who have lost a child can come close to fathoming the crippling emptiness such a loss brings, and Bob and Carol struggled. Their faith remained strong, but the pain was relentless. We in the family all noticed subtle, yet devastating, changes in the couple. Bob became quieter, and his quick laugh became far harder to elicit and faded much faster than before, and he seemed to have aged dramatically. The hardest part was seeing the ever present sadness in my brother’s eyes. Charles’ riding companions were a huge comfort, and family members each offered what assistance they could. I could only attempt to be there for my brother, but it was wrenching to see the sadness written on his normally jovial face. One morning when I stopped by to see how they were doing, he quietly remarked, “I wake up every morning, and the first thought in my head is, ‘My boy is dead.’” I could relate … every morning I woke up thinking, “My brother’s heart is broken.” I have never felt more helpless. A little while later, Charles’s motorcycle was delivered to Bob’s workshop, and there it sat next to his Gold Wing. The days turned into weeks, and the weeks into months and still the two big touring bikes sat side by side. Bob simply could not bring himself to crank up either of them. Riding was something he had shared intimately with his son, and the wounds were far too fresh and raw. He wasn’t completely alone in that. I, too, found it hard to mount up. There was simply little joy in even thinking about a ride under the realization that my brother was in so much pain. The bikes remained parked for what felt like a very long time. Finally, after more than two months, I found it in me to uncover my bike and carefully polish the dust off its chrome, leather and finish. Still, it was the next day before I could make myself crank it up and slowly settle into the saddle and pull out of the driveway. Bob’s bike remained in his shop with Charles’. Make the arrangements we did, though that too provided moments of heartache. One afternoon Bob and I were pouring over maps of Arkansas, selecting the roads we thought would provide the best rides. I was focused on the twisty lines with Bob looking over my shoulder when a tear quietly splashed down on the colorful surface of the map. It was then that I realized just how di£cult it was for him to be making these plans without his beloved son and I doubted the wisdom of making the trip. Bob never wavered, though. Resolutely, he stayed with the plan and on the morning of the appointed departure day, I was waiting at a local café when Bob glided up beside me on his gleaming machine. We had breakfast and then set out toward Arkansas. 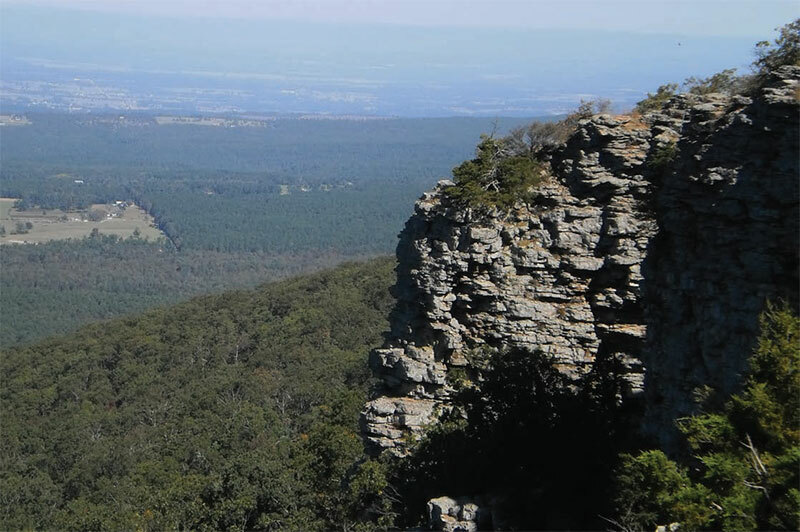 The route we had chosen was plain until we turned onto the Talimena Scenic Drive in eastern Oklahoma and entered Arkansas. I know it must have been hard for Bob, but it was good to see him riding again. I could only hope that the freedom of the open road would be good for him. For the next five days, we crisscrossed northern and central Arkansas, seeking out every twisty, curvy, scenic road we could find. 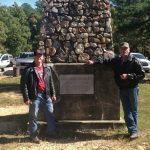 We motored up Magazine Mountain on the first day, cruised north to Eureka Springs on Highway 23 and just barely into Missouri, and then dropped back down into the Harrison area. 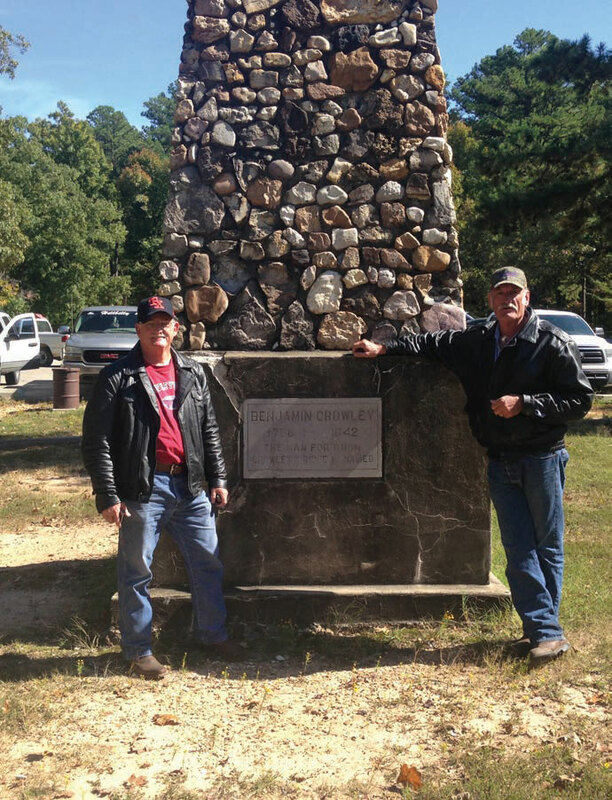 From there, we took a side trip eastward until we reached a place special to my family, Crowley’s Ridge State Park. Our direct ancestors settled the land in the early 1800s and it later became a state park. I saw Bob grow quiet again, and I knew he was thinking of his boy and how Charles would have loved to see this place with his dad. We swung back into central Arkansas and more of its alluring roads. We toured AR 25 and 14, and then cruised through AR 27 and onto the iconic Highway 7 and 123. Those roads are fantastic motorcycle destinations. With each exhilarating mile, I thought I could see a slow change in Bob as we leaned into breathtaking curves, accelerated up slopes, and stopped at beautiful scenic overlooks. Certainly, there were times when I saw him stand motionless and quiet. I knew he was remembering, but I have to believe he was remembering good, sweet times on those other very special trips. Indeed, it was exciting and comforting to see Bob’s old smile more frequently. It was a special time with my brother, and I was extremely thankful that he had found the strength and courage to take that huge step with me. Finally, we headed for home. The first hundred miles were through rain, but soon the skies cleared and we were soon in Texas. We stopped for fuel about an hour from home and I took the opportunity to give Bob a “friendship bell” that I had been carrying the entire trip. He grinned broadly and said he was sure he could find a place for it. We headed out on the last leg of our over 1800-mile trip. As we hit highway speed, I looked up and was amazed and yet very comforted to see spectacular rays of sunshine beaming from behind brilliantly backlit clouds. I don’t know what others may believe, and it might seem a cheesy cliché, but I have to feel that somehow Charles had a hand in that. Of course, Bob and Carol still struggle mightily, but they are strong, and slowly they are moving forward. Bob continues to ride his Gold Wing, and occasionally mounts up and takes out Charles’ beautiful Harley. We’ve made more day rides and longer trips, and are planning more. I can only hope that, in time, Bob and Carol will find the healing they need, the kind of restoration that faith, family, friends and the freedom of the open road on two wheels have a way of providing. Posted 08/12/2016 by wing & filed under Featured, Road Trips.